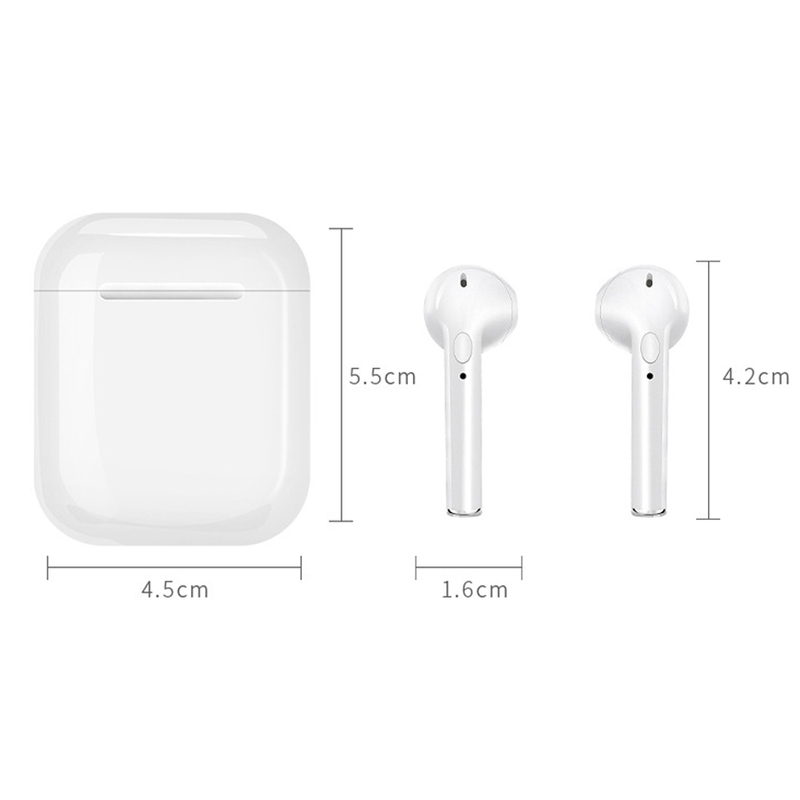 Feature an ergonomic design that fits your ears; a soft smooth surface for comfortable wearing; won't fall out of your ears! Enjoy your music for up to 2.5 hours on a single charge (72 hours of standby time). Only takes 1.5 hours to fully charge. Way to large for my ears! These sound pretty good for music, delay is noticeable for videos but not too bad. 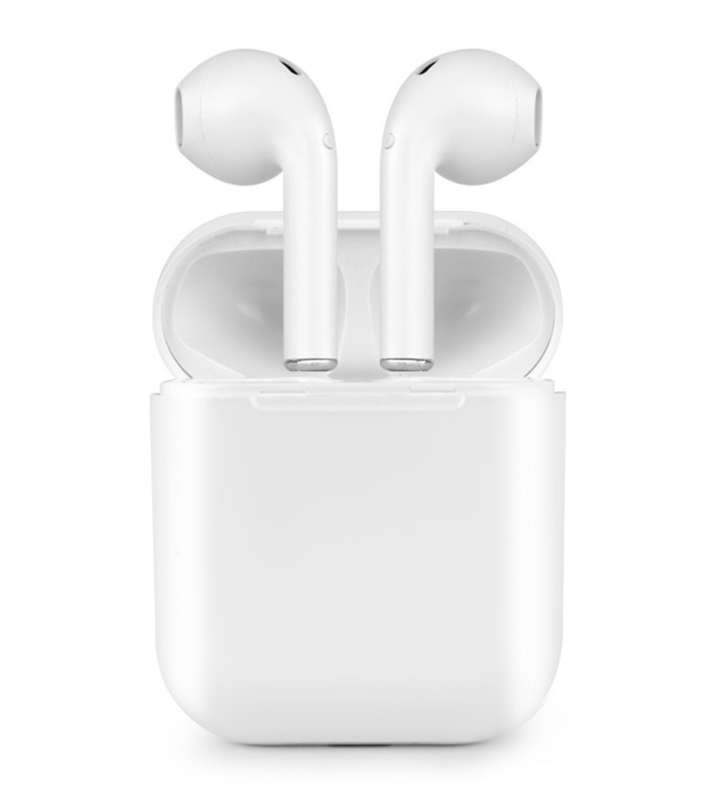 Obviously they don't pair quite as easily as the original apple ones do with apple products and don't start or stop when you remove them from your ear but I don't own any apple products. They are just as easy to pair as any other blue tooth headset and they work fine with both my windows laptop and android tablet. However they are way too big for my ears! Not very comfortable because I really have to shove them in there. Some people said they can go for a run with them in but for me any movement at all sends at least one of then popping out of my ear. I doubt landing on the floor will be good for their overall longevity. I you keep trying to jam them into your ear they get interference and start and stop until they have re calibrated themselves to work as a pair again. I bought them to throw in my bag so I can use my tablet while waiting without bothering anyone. Hopefully while sitting quite and for short periods I can keep them in my ears without it being too uncomfortable but I won't be able to use these for much else. 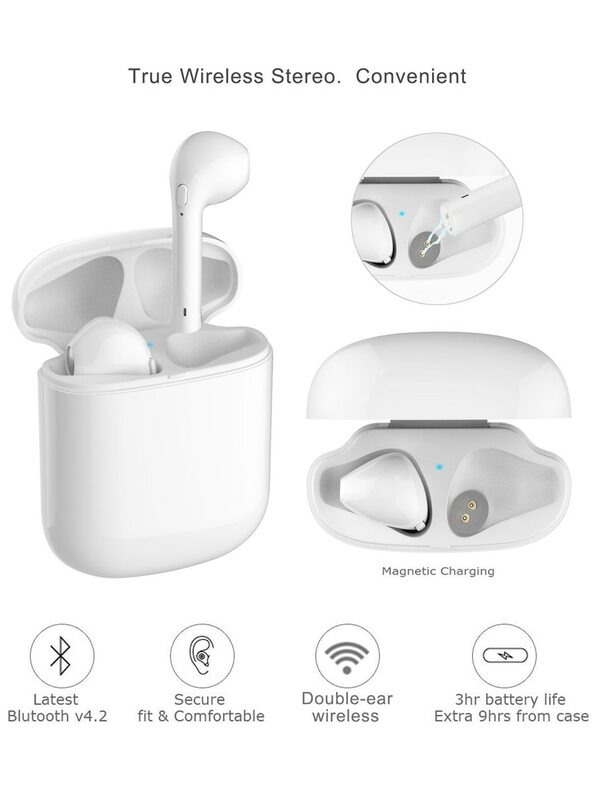 Great for listening to music and they stay in while running but the main reason for our purchase was for phone calls and the quality is extremely poor. If you’re looking for something to use for working out it’s a great option. Phone calls? Not so much. I was so excited about the price and the ratings that I purchased one for myself and was debating on purchasing e more as gifts. Well it depends on your use as to whether I would recommend. If you are simply using to listen to music/books, they are fantastic! The sound quality is awesome. You can exercise and they won’t fall out and they fit exactly like the apple brand. HOWEVER, I need them for phone calls and I have tested them with several people and they all say I sound like I’m in a cave. One person could not hear me at all and disconnected, she said I kept clicking in and out. Maybe I received a dud pair? Or maybe the previous reviewers only use them for music/books. Great price! Very good quality. Better than expected. Would 100% recommend to a friend. Perfect gift idea! I was concerned for the price that I would be disappointed. I was pleasantly surprised by the quality of these earbuds. I spent $160 on the Apple product as a company gift and these look, and sound similar in quality. For the price, these are really great quality earbuds. Sound is crystal clear, very pleased with my purchase.